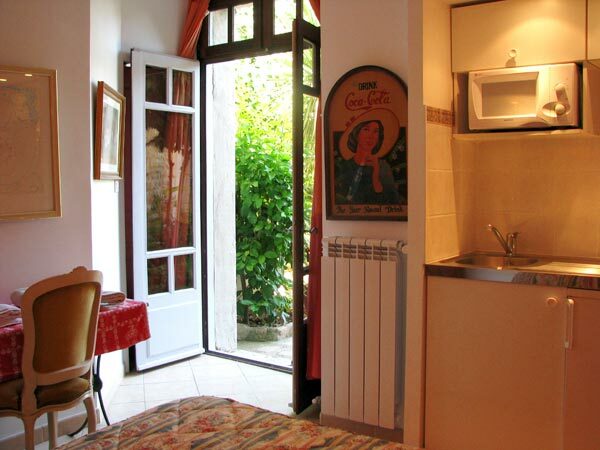 The ground floor flat can welcome 6 people (or 8 people with the studio). A spacious and light salon including an open fire place and a dining area opening on to an equiped terrace overlooking the park. 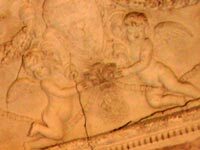 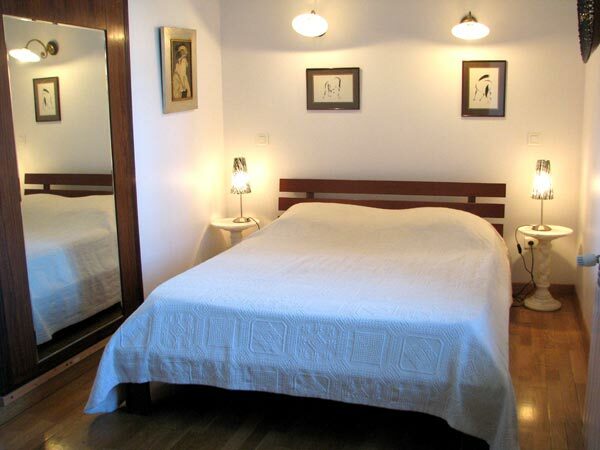 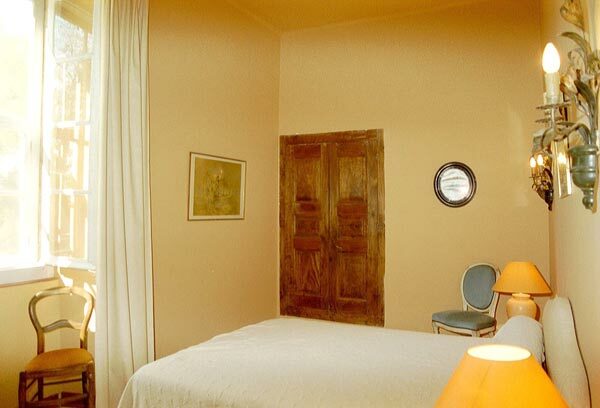 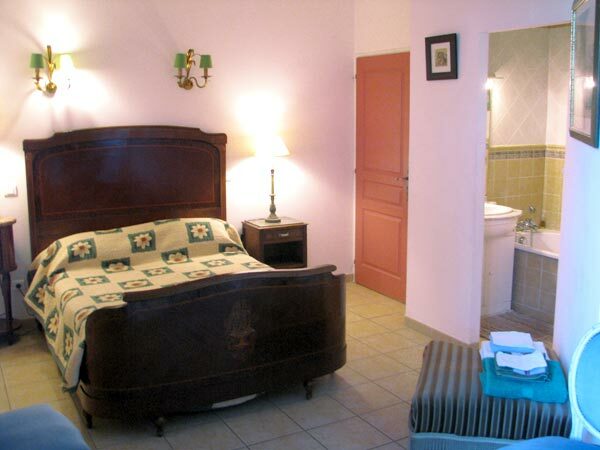 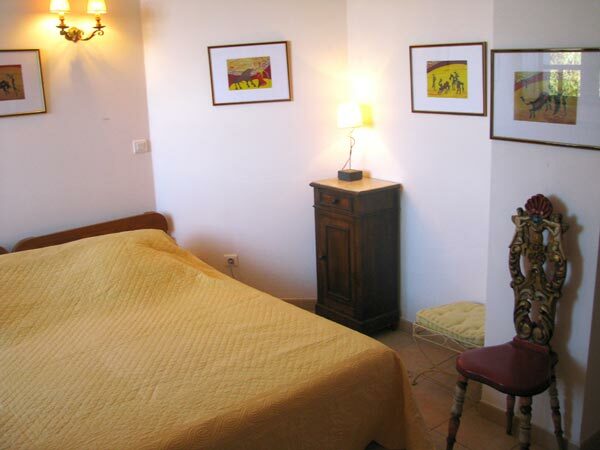 There is the possibility of 3 traditional rooms, 2 with a double bed and the either a double bed or 2 single beds. 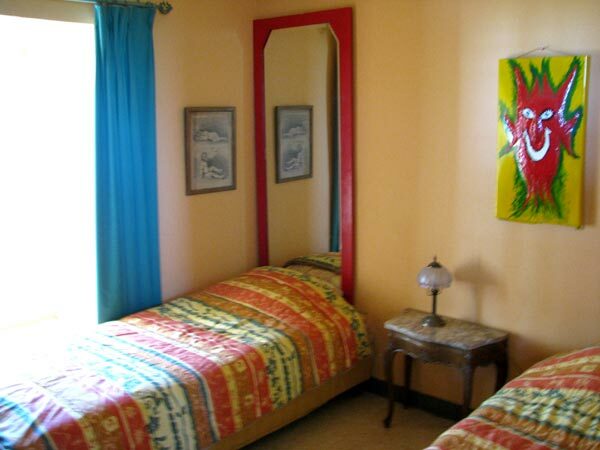 These bedrooms, decorated with a different theme, have 2 completely tiled bathrooms. 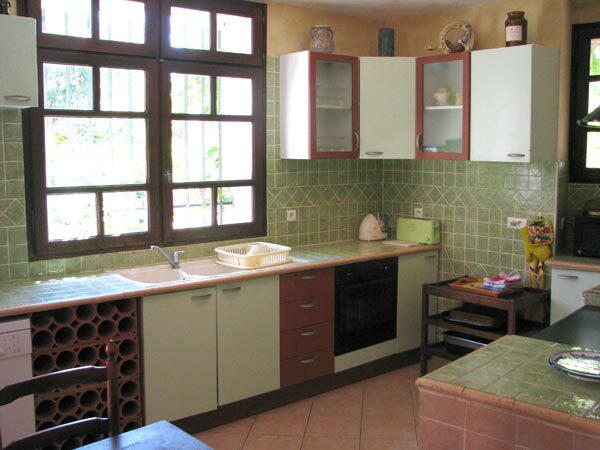 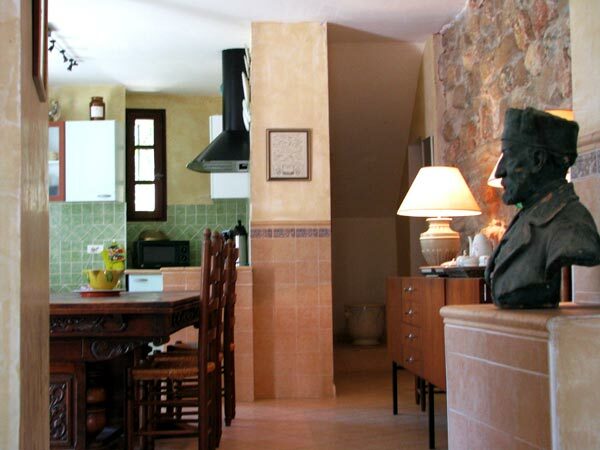 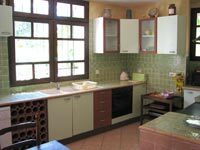 A large provençal styled kitchen is entirely equiped and also directly overlooks the garden and is connected to the dining room. 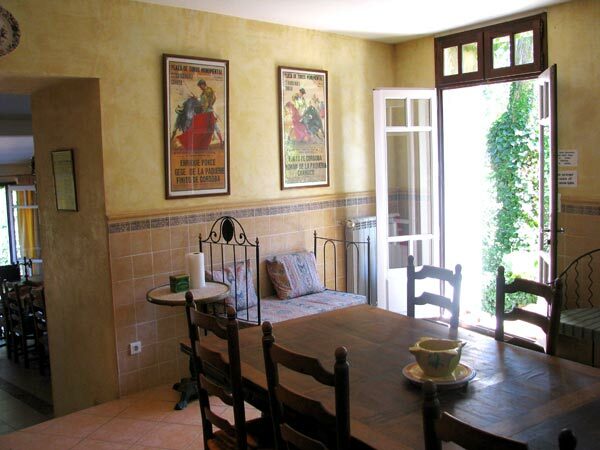 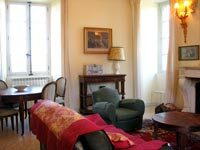 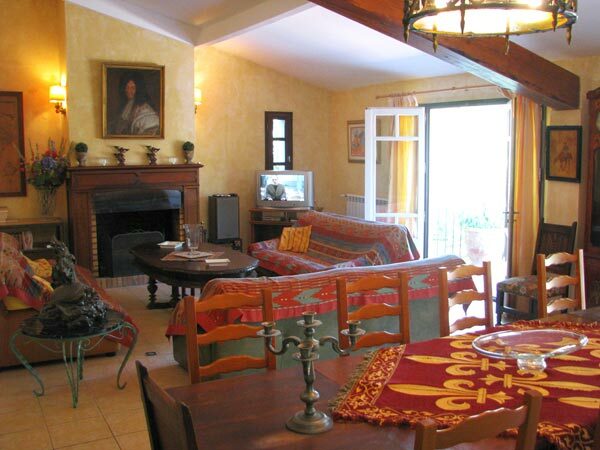 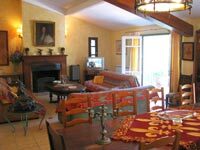 Connected on the ground floor but totally independant, the studio of the Château de Savignac le Haut can welcome 1 or 2 people. 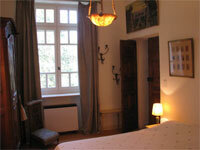 This part of the ground floor offers a double bed, a kitchenette, a bathroom and an outside private area at the entry. 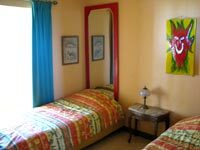 Situated on the first floor, this appartment offers 3 bedrooms: 2 rooms with a double bed, and one bedroom with 2 single beds. 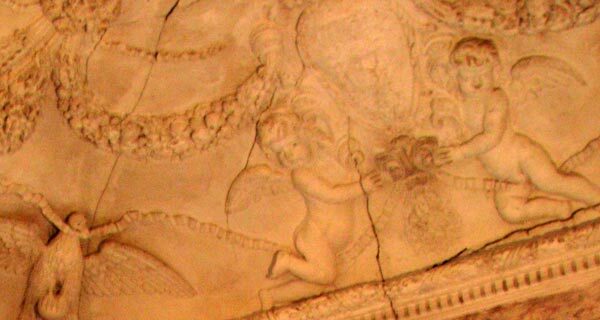 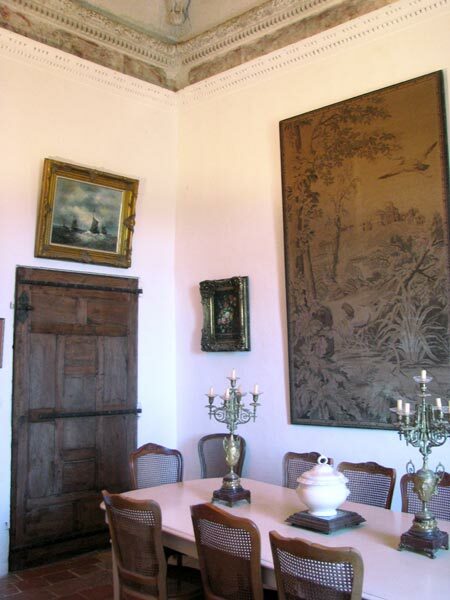 A music room with a 17th century ceiling which is classed as an Historical Monument. 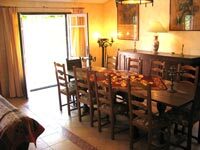 A lounge with dining room, an open fire place and an equiped kitchen. 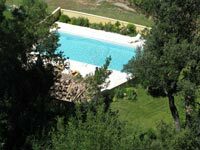 The tenants have priority for the swimming pool (12 x 6 meters), totally secured and independant in order to respect their privacy. 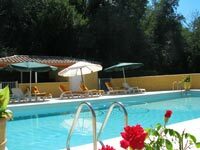 Situated below the Château, the swimming pool is accessible by several paths in the big garden. 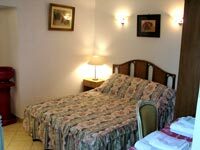 A car park for your disposal is also available in the proximity. 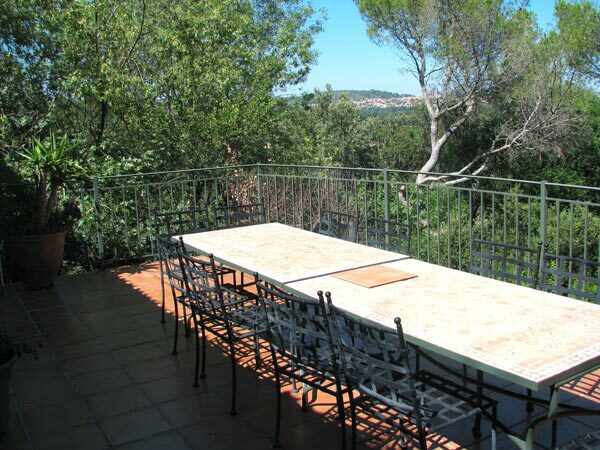 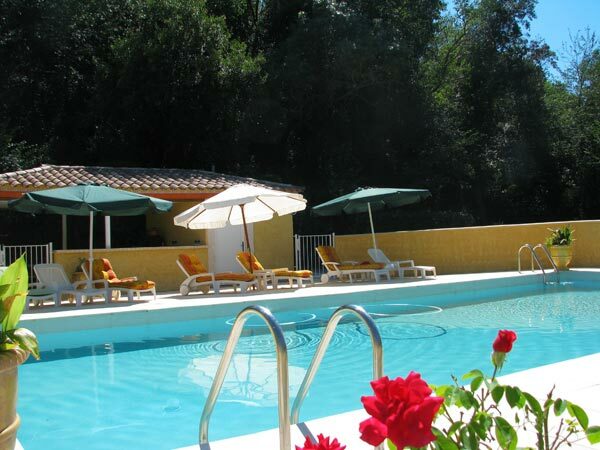 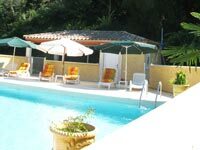 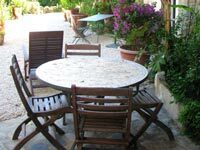 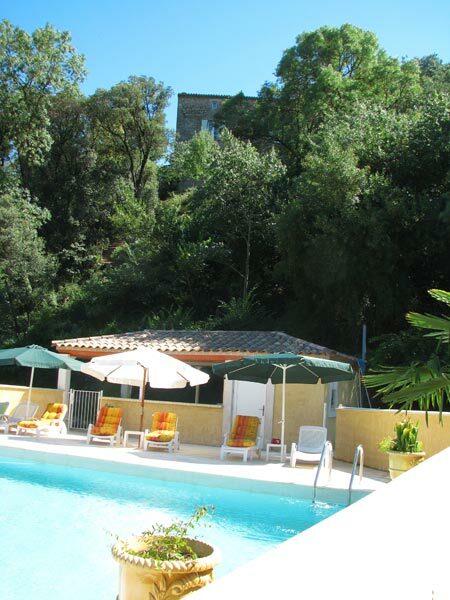 Garden furniture (table, chairs and lounges), a club-house with showers and toilets, also a table tennis table permits you to enjoy sunny days in the South of France. 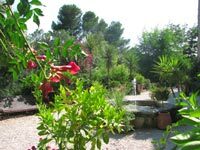 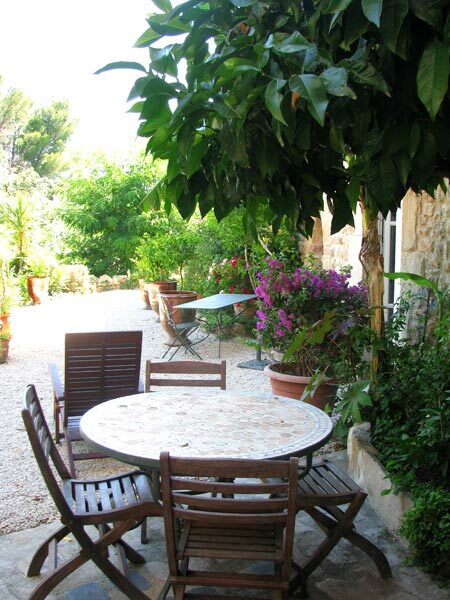 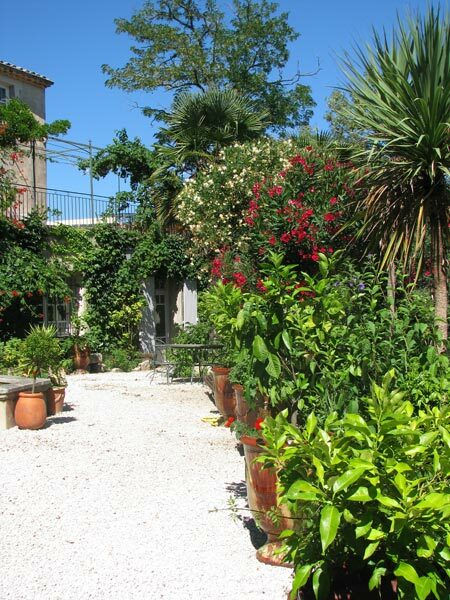 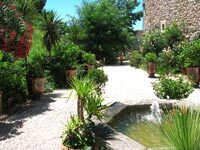 A very pretty garden, with banana-trees and citrus plants in vases of Anduze bordering the lawn. 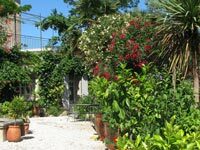 The proprieter is a passionate gardener!